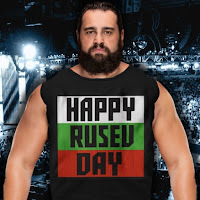 Rusev Day came to a demise on SmackDown Live, as Aiden English found a new tune and turned on Rusev. Aiden English, who cost Rusev another opportunity with a distraction. After catching Rusev off guard by using one of Lana‘s lines on the microphone, Nakamura capitalized with a roll-up victory.